The Bible speaks more about the tribe of Judah than any other single tribe of Israel. Why is this tribe given so much attention? What is Judah’s future? 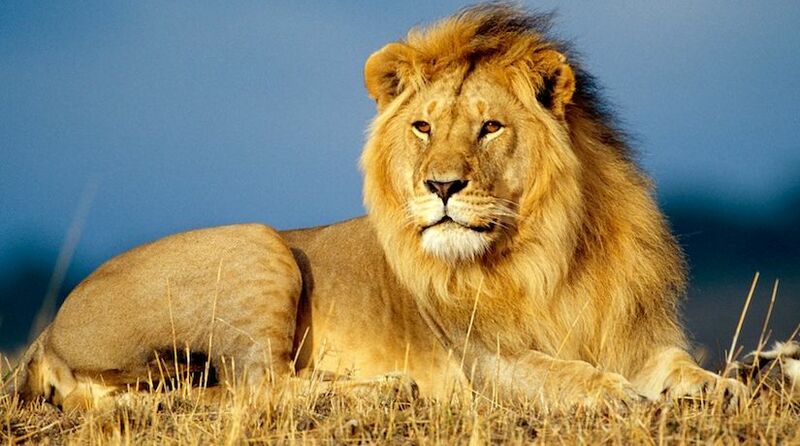 A lion: the biblical symbol of the tribe of Judah. Let’s look at the story of Judah in the Bible. The history of the tribe of Judah, which eventually became a nation, begins in the book of Genesis. Judah was the fourth son of the patriarch Jacob by his first wife, Leah (Genesis 29:35). He grew up with his brothers, working in the family business tending cattle and sheep. In time Judah and his brothers grew jealous and envious of their younger brother Joseph. Joseph was favored by his father, who gave him a special coat (Genesis 37:3). But it was when Joseph told his brothers about his dreams, which indicated he would be greater than them, that their hatred of him intensified (verses 5-11). The hatred grew to the point that the brothers wanted to actually kill Joseph; but Reuben, the firstborn, stepped in to stop them. Joseph was placed in a pit; and while Reuben was absent, Judah came up with the idea of selling Joseph to Midianite traders for 20 shekels of silver (verses 18-22, 26-29). The brothers killed a goat and covered Joseph’s coat with blood to deceive their father into believing a wild animal had killed him. Jacob could never get over his grief for the loss of his son (Genesis 37:35). Judah and his brothers thought they had taken care of the problem of their younger brother, but God did not let that be the end of the story. God preserved Joseph and blessed him in Egypt, where he had been sold as a slave. Meanwhile, Judah’s family suffered many trials over the next 20 years or more. Judah married a Canaanite woman, the daughter of Shua. They had three sons, Er, Onan and Shelah. Judah took a wife, Tamar, for his firstborn son, Er, but he was so evil that God took his life (Genesis 38:6-7). Judah commanded his second-born son, Onan, to marry Tamar and produce an heir for his deceased brother as God’s laws commanded in such circumstances. Onan would not carry through with this act because it would not be his heir. God then took Onan’s life for his refusal to give his brother an heir (Genesis 38:8-10). Following Onan’s death, Judah asked Tamar to not remarry, but to wait in her father’s house until Judah’s youngest son, Shelah, was old enough to marry. Tamar complied with Judah’s wishes. But quite a number of years went by, and Judah’s wife died. Tamar realized that she was not going to be given in marriage to Shelah, who was now grown (Genesis 38:11-14). One day Tamar heard that her father-in-law was heading out to shear his sheep. She removed her widow’s garments and dressed to appear as a harlot as she sat along the road where Judah would pass by. Judah did not recognize her and propositioned her; and she demanded his signet, cord and staff for collateral. When it was later discovered that she was pregnant, Judah threatened her with death for harlotry. To save her life, she presented the items belonging to Judah and said, “By the man to whom these belong, I am with child” (Genesis 38:18, 24-26). Tamar had twins. At delivery, one twin put out his hand first and the midwife tied a scarlet thread on it and said, “This one came out first.” But the other twin, Perez, came out unexpectedly followed by Zerah with the scarlet thread tied on his hand (Genesis 38:27-30). God would use the unusual birth of these twins to establish two lines of genealogy in the tribe of Judah. The second great promise God gave to Abraham stated, “And in you all the families of the earth shall be blessed” (Genesis 12:3). This promise would come through the line of Perez. King David and the kings of Judah would descend through the line of Perez. But most importantly, Jesus Christ would come through this line so “all the families of the earth shall be blessed” (Matthew 1:3, 16). As the apostle Paul wrote, “Now to Abraham and his Seed were the promises made. He does not say, ‘And to seeds,’ as of many, but as of one, ‘And to your Seed,’ who is Christ” (Galatians 3:16). In looking at the life of Judah and his character, it is hard to see why the tribe of Judah should become so prominent among the tribes of Israel. On the one hand, Joseph lived a righteous life and was blessed with the birthright in place of Reuben, the firstborn. The name of “Israel” was passed on to Joseph’s two sons, Ephraim and Manasseh. Yet God also chose Judah and his descendants for a special place in His plan through the ages. The prophecy God gave to Jacob at the end of his life concerning his sons’ descendants “in the latter days” reveals a special blessing for the tribe of Judah (Genesis 49:1, 8-10). In speaking of the tribe of Judah, Jacob said, “Judah, you are he whom your brothers shall praise; your hand shall be on the neck of your enemies; your father’s children shall bow down before you. Judah is a lion’s whelp; from the prey, my son, you have gone up. He bows down, he lies down as a lion; and as a lion, who shall rouse him? The scepter shall not depart from Judah, nor a lawgiver from between his feet, until Shiloh comes; and to Him shall be the obedience of the people” (Genesis 49:8-10). In this passage God looked at Judah as a strong warrior and likened him to a young lion sleeping in its den after devouring its prey. Perhaps it was this strength of character and determination that God foresaw in this tribe that influenced Him to choose Judah to be His lawgiver and the tribe from which His Son would later be born (Hebrews 7:14). Jesus Christ is called “the Lion of the tribe of Judah” (Revelation 5:5). Regarding Genesis 49:10, Expositor’s Bible Commentary says, “The word ‘Shiloh,’ found in some English versions, is simply an untranslated form of the Hebrew expression meaning ‘one to whom it belongs.’” Jesus Christ is the “one to whom it belongs” (Frank E. Gaebelein, ed.). Judah is also described as a lawgiver in the Psalms. God inspired David to twice say that “Judah is My [God’s] lawgiver” (Psalms 60:7; 108:8). The tribe of Judah has not only been a lawgiver, but a preserver of God’s written laws. The apostle Paul said, “What advantage then has the Jew? … Much in every way! Chiefly because to them were committed the oracles [that which was spoken or commanded] of God” (Romans 3:1-2). Through the centuries, the Jews have faithfully preserved the books of the Old Testament and the Hebrew calendar. The postexilic writer of 1 Chronicles, probably Ezra, wrote, “Yet Judah prevailed over his brothers, and from him came a ruler, although the birthright was Joseph’s” (1 Chronicles 5:2). During the time of Moses, the tribe of Judah became the stronger tribe and “prevailed over his brothers.” The census in Numbers 1 shows that Judah was the leading tribe in population and in men who could go to war (Numbers 1:2-3, 27). After the death of Joshua, God chose the tribe of Judah to take the lead in conquering the nations who were living in the land promised to the 12 tribes (Judges 1:2). The first chapter of Judges shows that the tribe of Judah was aggressive and strong in driving out the Canaanites in the southern half of the land of Canaan. The good news for the tribe of Judah and this world is that the “Lion of the tribe of Judah,” Jesus Christ, will return to establish the Kingdom of God, and the tribe of Judah will finally accept its Redeemer. An even more important way that Judah prevailed over his brothers took place during the time of one of Judah’s most famous descendants, King David. The tabernacle of God had long been in Shiloh in the territory of Joseph. But David set the stage for the temple to be built on Mount Zion, “which He [God] loved,” and which David made his capital (Psalm 78:67-70). God chose David to be His shepherd and Jerusalem (Mount Zion) for His place to dwell. God also chose David to hold the “scepter,” a symbol of kingship that would always remain in the tribe of Judah (Genesis 49:10; Psalm 89:34-37). After the death of Solomon, the nation of Israel became divided. Solomon’s son Rehoboam refused to lighten the burden of taxes that had been imposed by his father. In fact, Rehoboam threatened to make life far worse for the people than what his father had done. This resulted in 10 tribes separating and becoming the northern kingdom of Israel with its capital city in Samaria (1 Kings 12:12-14). The tribes of Judah, Benjamin and a part of Levi stayed with Rehoboam and became the southern kingdom of Judah, with Jerusalem as its capital. The northern kingdom of Israel immediately went into idolatry and turned away from worshipping God. After 200 years, they went into national captivity at the hands of the Assyrian Empire. The southern kingdom of Judah lasted more than a hundred years after the fall of the northern kingdom of Israel. Judah also turned away from the God of their fathers and went after idols several times, and several times righteous kings instituted reforms. God sent prophets to warn them of their slide into idolatry, but eventually they would no longer listen. The Jewish nation was taken into national captivity by the Babylonians in several waves of deportations culminating in 586 B.C. After 70 years of captivity in Babylon, some of the Jews returned to Jerusalem to rebuild the temple, but they didn’t fully return to the status of a sovereign nation until the 20th century. Jesus—the Messiah, the Savior of mankind, the Lion of the tribe of Judah—would come through the tribe of Judah, but He would be rejected by His own people. The Church Jesus established initially sprang out of the tribe of Judah. But since the middle of the first century, the Church of God has become largely non-Jewish in membership. Approaching the 20th century, many Jewish groups and Christian churches were advocating a homeland in Palestine for the tribe of Judah. Jewish groups wanted to return to Judea because it was their ancient homeland. Christian groups saw the establishment of a Jewish state as a sign of end-time prophecy being fulfilled that would lead to the imminent return of Jesus Christ. One such prophecy can be found in Daniel 12:11, which indicates that the Jews will resume animal sacrifices before the return of Christ. Presumably, they would need their own homeland to do this. In 1917 the Balfour Declaration made public Great Britain’s support of a Jewish homeland in Palestine. But it would not become a reality until May 14, 1948. Today, the nation called Israel is a major power in the Middle East, but will it remain such a power until the second coming of Jesus Christ? Jesus in His Olivet Prophecy said, “For then there will be great tribulation, such as has not been since the beginning of the world until this time, no, nor ever shall be” (Matthew 24:21). The tribe of Judah and the State of Israel will not be spared from this traumatic time. In Luke’s account of the same prophecy, Jesus said, “But when you see Jerusalem surrounded by armies, then know that its desolation is near” (Luke 21:20). The prophet Zechariah also spoke of this same time, “For I will gather all the nations to battle against Jerusalem; the city shall be taken, the houses rifled, and the women ravished. Half of the city shall go into captivity, but the remnant of the people shall not be cut off from the city” (Zechariah 14:2). Invasion and war will come to Jerusalem and to the tribe of Judah. Following the prophecy of the invasion of Israel and Jerusalem, Zechariah announced the good news of the coming of Christ: “And in that day His feet will stand on the Mount of Olives. … And the LORD shall be King over all the earth” (Zechariah 14:4, 9). Jeremiah spoke of this same time when he said, “In His days Judah will be saved, and Israel will dwell safely; now this is His name by which He will be called: THE LORD OUR RIGHTEOUSNESS” (Jeremiah 23:6). The good news for the tribe of Judah and this world is that the “Lion of the tribe of Judah,” Jesus Christ (Revelation 5:5), will return to establish the Kingdom of God, and the tribe of Judah will finally accept its Redeemer (Romans 11:26). 12 Tribes of Israel Today: Who Are They? When Will Israel and Judah Be Reunited? Replacement Theology: Has the Church Replaced Israel?